The Filati Technique was introduced and developed on the beginning of the 16th century by the Vatican, it is used today for the production of exquisite jewelry. 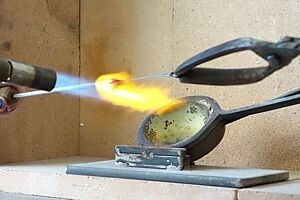 The technique consists in the creation of micro-tiles (tesserae) made by pulling fused glass under a gas flame of 900C°. For each pull, a unique color is reached, never repeated. The rod shape can be customized as the artist sees fit. The wide choice of shapes and colors, makes the imagery incredibly realistic and detailed. The micro-mosaic found its ideal application in jewelry about 300 years ago. Some of this technique, along with the recipe of the “stucco” from powdered marble, is still partially secret. The Filati technique is taught only by a few schools in the world. Probably only our School is able to offer a crash-course concentrated in just 5 days. In the Filati class the participants make two jewels, typically a brooch, or pendant, or ring, etc. 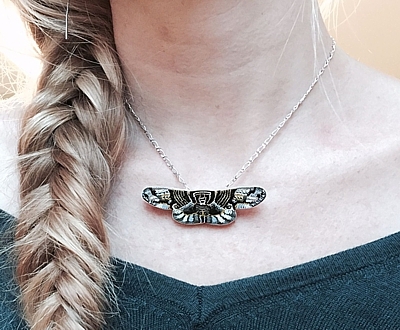 The first piece (bijouterie like) is developed on a base made of metal alloy, or brass. This allows to learn the basic techniques. The second piece (jewellery) is more valuable and complex, and developed on a sterling Silver 925 base. In the class will be taught, in addition to the smalti glass melting (Filato), the cutting techniques, the micro-design, how to mix glass colors, the assembly of tiny mosaic portions, and much more. In the class will be provided a choice of patterns, compatible with the time available. Most of the class is based on practical work. However, some theoretical insights will be discussed in the class, especially about the glass fusion techniques. DURATION: 5 days. It can be extended 5 more days, with additional cost. Contact us for more info.